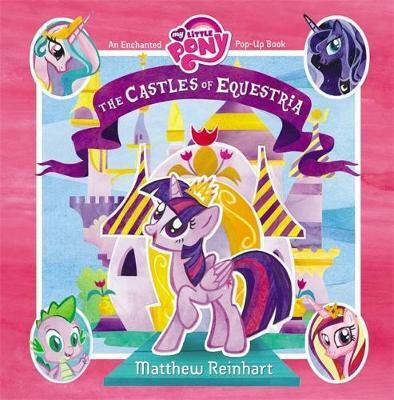 The beautiful castles of Equestria pop to life inside this magical interactive book. Showcasing more wizardry than Star Swirl the Bearded, pop-up master Matthew Reinhart takes My Little Pony fans on a magical time-traveling tour through each palace. See the majestic castle in Canterlot, the shining spire of the Crystal Empire, and the reconstructed ancient Castle of the Two Sisters--where Princesses Celestia and Luna began their rule. 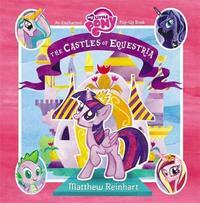 Plus, see Twilight Sparkle's home, the newest castle in Equestria! Use the five pop-up figures included to explore doorways, gardens, and throne rooms. Spot all your favorite characters from the hit television series throughout this magnificently illustrated feat of pop-up engineering--you never know where somepony might appear! Matthew Reinhart has created many bestselling, award-winning pop-up books, including Star Wars: The Pop-Up Guide to the Galaxy; Brava, Strega Nona! ; and Mommy? by Maurice Sendak and Arthur Yorinks. A graduate of the Pratt Institute, he is the co-creator with Robert Sabuda of the New York Times bestselling Encyclopedia Prehistorica pop-up series. Matthew lives in New York City.